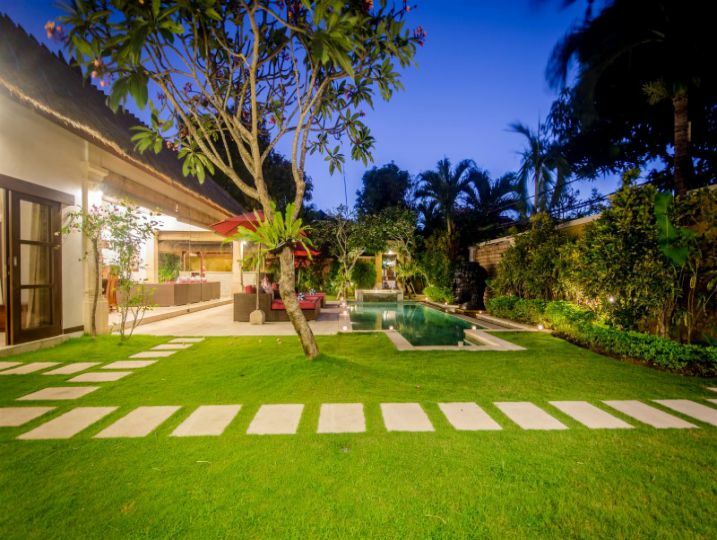 Looking for a Seminyak villa with private pool? 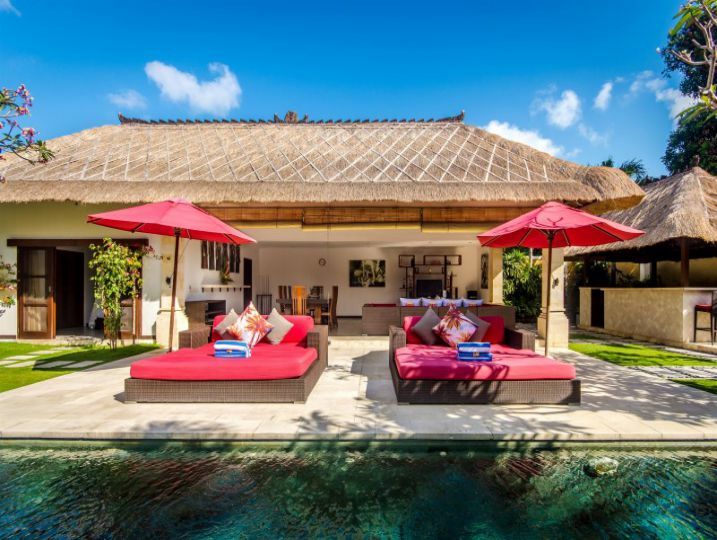 then look no further than Villa Jaclan. 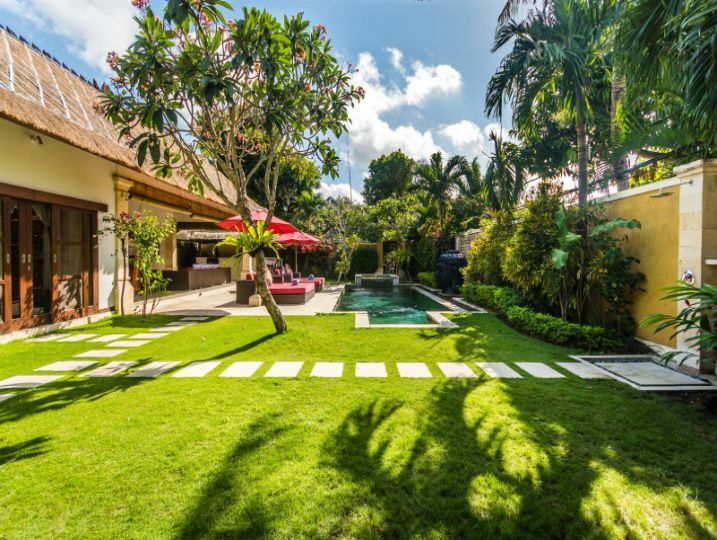 The minute you walk into Villa Jaclan you leave the outside world behind and slip straight into Bali time. 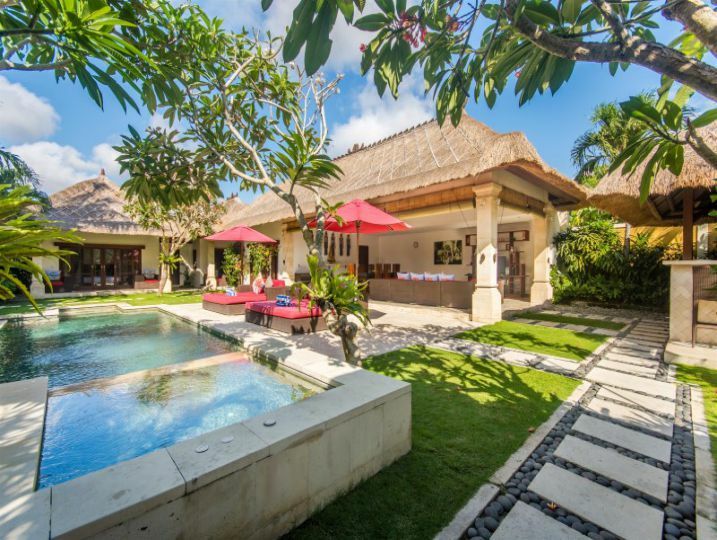 This spacious villa has all the home comforts you’ll need for a relaxing getaway and is just a short walk away from great shopping restaurants, spas and the beach. 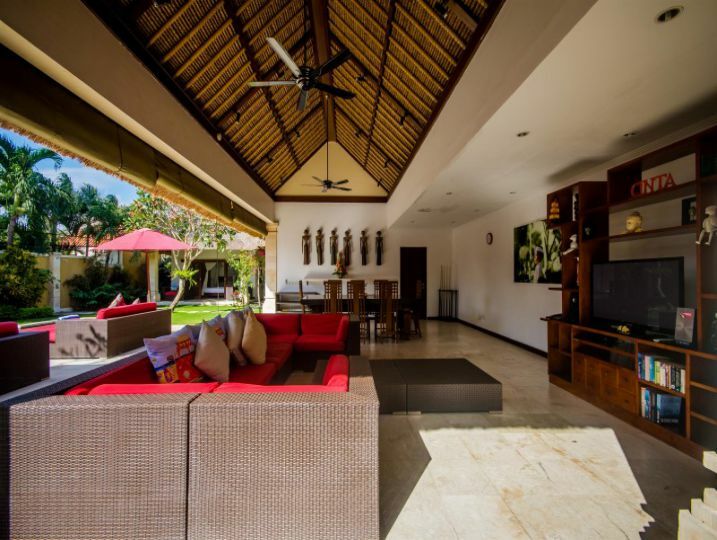 There are a host of contemporary design elements sure to please family and friends holidaying together. 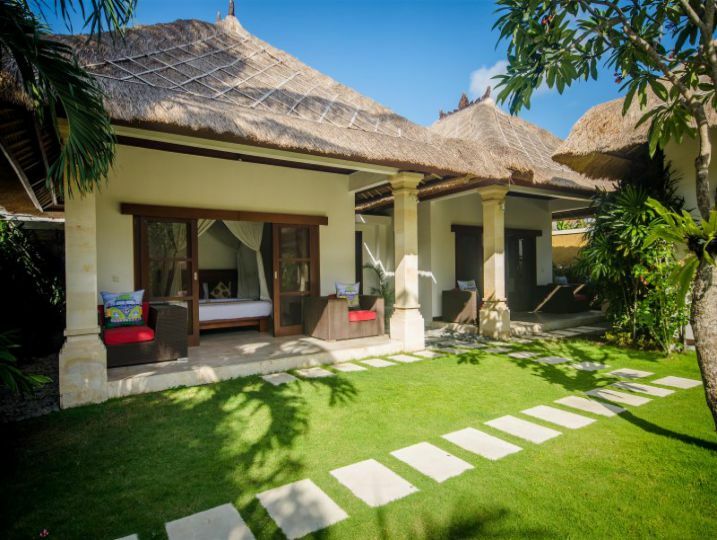 All bedrooms in the single-storey villa have semi-outdoor ensuite bathrooms and there’s an open plan living area and a fully equipped kitchen as well as an outdoor bar and grill. 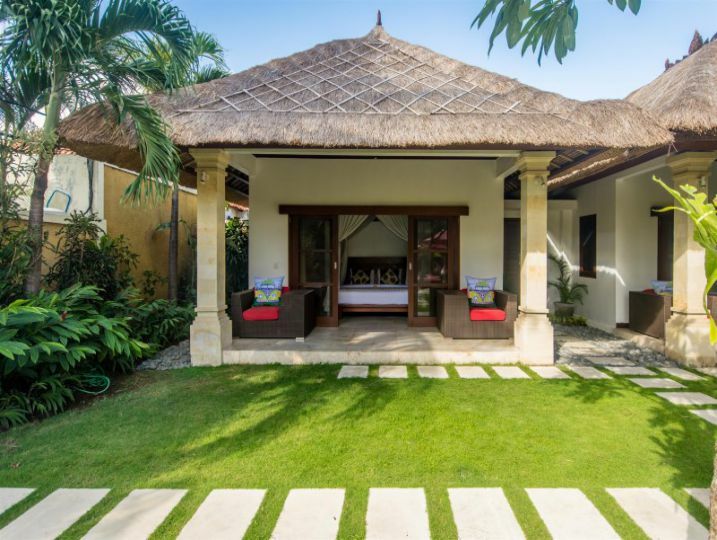 Villa Jaclan combines elements of traditional Balinese architecture with modern design principles. 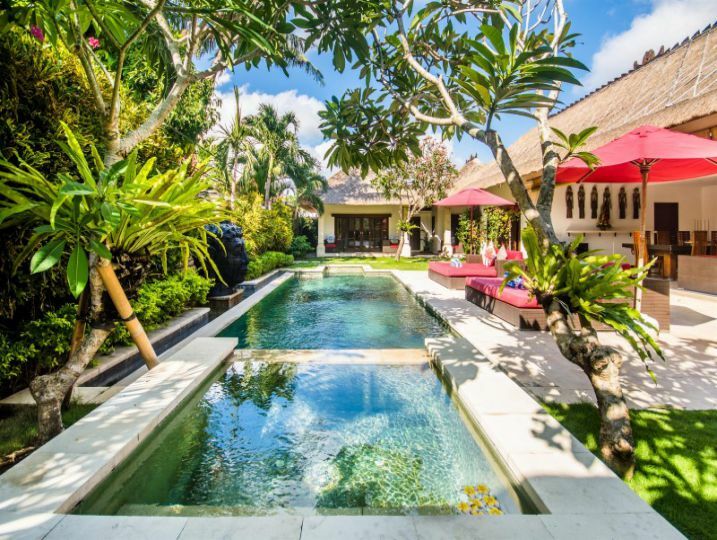 There are stone and timber flourishes throughout the villa and decorative water features to stimulate the senses. 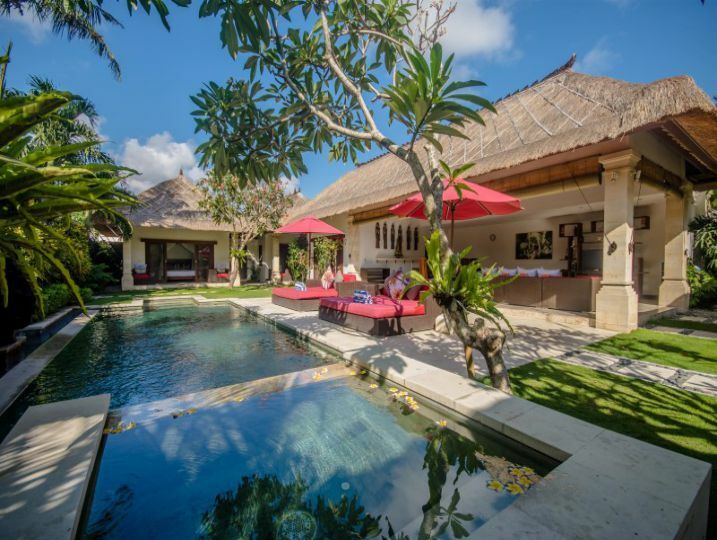 Villa Jaclan was built to complement the environment and to preserve the original landscape of mature trees and indigenous flora. 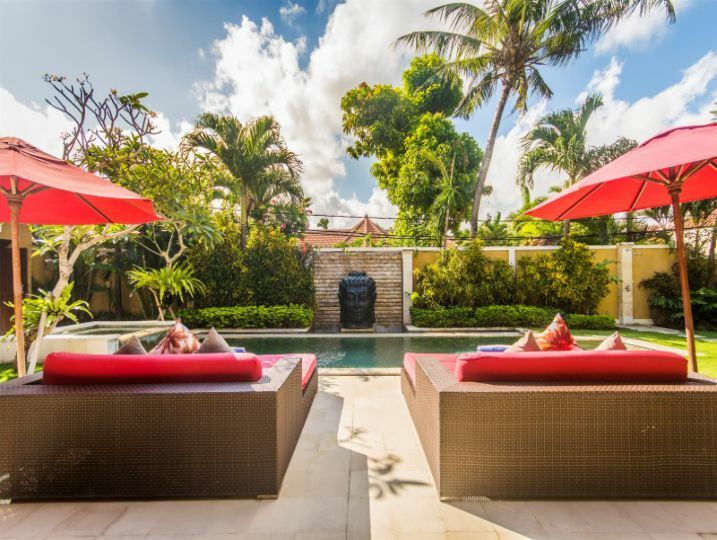 Relaxation is ensured as you sun yourself on one of the comfortable recliners next to the swimming pool or lie back at night and watch the stars twinkle as the pool shimmers in the moonlight. Bedroom 1 (Semi-outdoor ensuite bathroom, King size bed with mosquito net, Air-conditioning & ceiling fan, Television with international channels, Sofa, Toiletries, Wardrobe, Balcony outside bedroom). 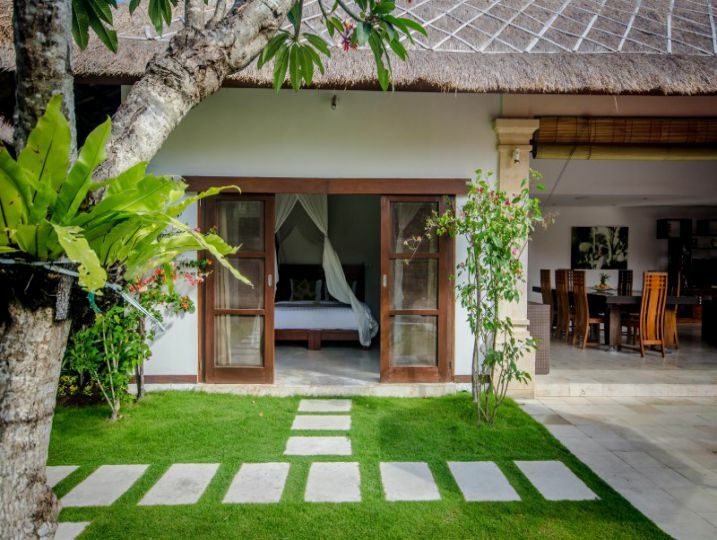 Bedroom 3 (Guesthouse (stand-alone) style, Semi-outdoor ensuite bathroom, Double size bed with mosquito net, Air-conditioning & ceiling fan, Toiletries, Wardrobe, Terrace outside bedroom). 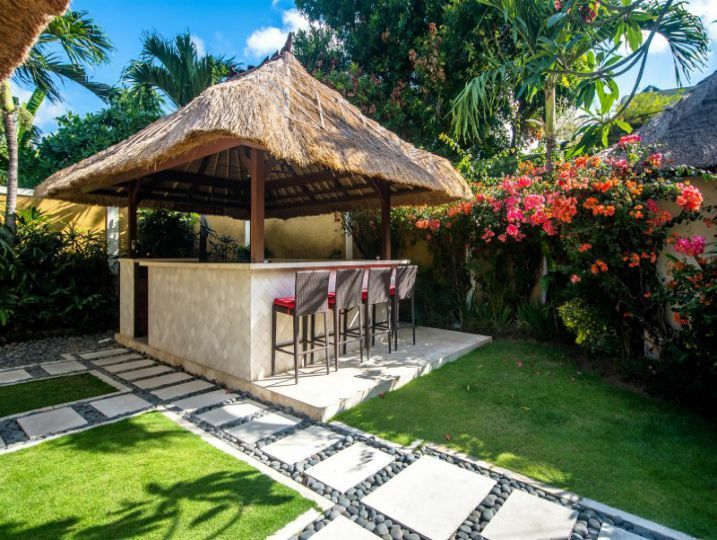 Kitchen and Dining (Open-air kitchen & dining area, Fully equipped kitchen, Cutlery, chinaware & glassware, Water Dispenser, Toaster, Blender, Microwave, Full-size refrigerator, Coffee machine, Dishwasher). 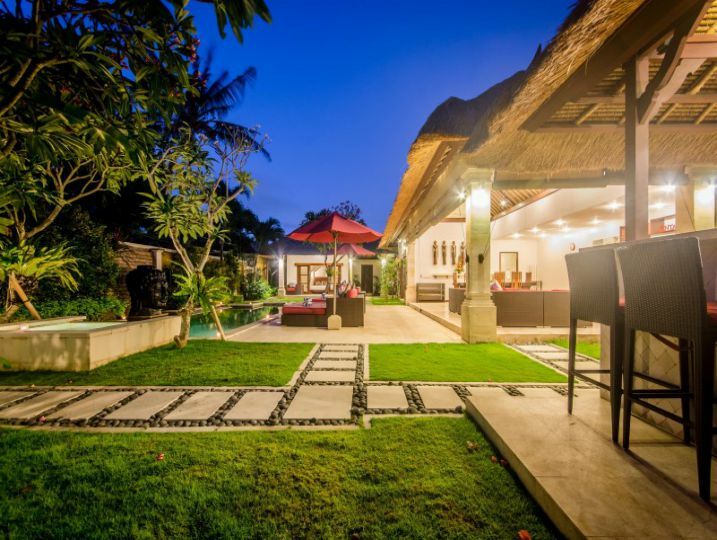 Airport transfer (arrival only), Welcome drink upon arrival, Breakfast daily, Free Wi-Fi, Drinking water, Housekeeping service daily, Grocery shopping assistance. 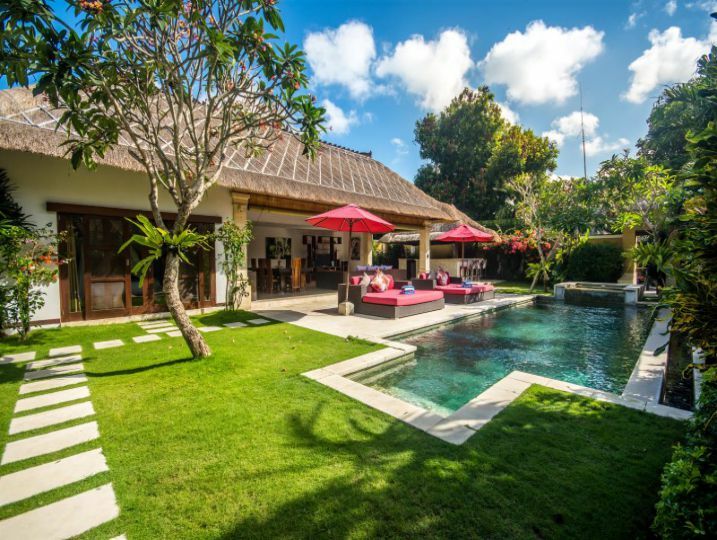 Villa Jaclan is available for selected dates.